Out of ten friends that you have, at least nine for sure would have experienced burn in their life time, at least once. In other words, burns are pretty much a part of our childhood. There would be rare number of people who wouldn’t have experienced burns during their childhood. Very few would still have the scar of the childhood burn until now, while others who would’ve taken early measures then like applying toothpaste wouldn’t have helped them prevent the painful blisters at the burnt area. Hence, home remedies for burns is very important to be aware of. 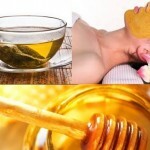 Here are some of the home remedies that can help you heal burns fast leaving minimum scar. Honey has long been serving as a remedy to disinfect wounds and heal burns. Everyone knows bees are attracted to honey, but did you know water is, too? When applied to a burn, honey draws out fluids from the tissues, effectively cleaning the wound. You may also apply the honey to a gauze bandage, which is less sticky than direct application. Change the dressing three to four times a day. Crumble 1 cup uncooked oatmeal into a bath of lukewarm water as the tub is filling. Soak 15 to 20 minutes and then air dry so that a thin coating of oatmeal remains on your skin. Use caution getting in and out of the tub since the oatmeal makes surfaces slippery. Mouth burns can be relieved by rinsing with salt water every hour or so. Mix 1/2 teaspoon salt in 8 ounces warm water. The tannic acid in black tea helps draw heat from a burnt area. Put 2 to 3 tea bags under a spout of cool water and collect the tea in a small bowl. Gently dab the liquid on the burn site. Vinegar works as an astringent and antiseptic on minor burns and helps prevent infection. Dilute the vinegar with equal parts water, and rinse the burned area with the solution. It is a wonderful and widely available household first-aid item for healing and soothing burns. The major constituents in plantain are mucilage, iridoid glycosides (particularly aucubin), and tannins. Together these constituents are thought to give plantain mild anti-inflammatory, antimicrobial, antihemorrhagic, and expectorant actions. To get the full effect of this plant, crush some fresh plantain leaves and rub the juice directly onto the burn. Gently run cool water or place cool compresses over the burn site for ten minutes. Do this as quickly as possible, preferably within seconds of getting a burn. Cool water not only feels good but will help stop the burn from spreading, and the sooner you run cool water on the burn, the greater the effect will be to reduce it. It is great for healing and soothing burns. Directly apply aloe vera gel on the burn. 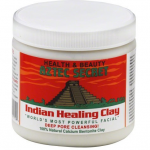 Its soothing and rejuvenating properties will help cool the burned skin. Fresh aloe vera quickly soothes painful burns and often heals even serious burns with little or no scarring. Sometimes, placing a banana peel on the burned area of the skin till it becomes black has proved beneficial for burn injuries. Never use ice on the burnt area because it can restrict blood flow to the skin, and further damage tissue. Ice can be used only if you have a burnt tongue.